Minding the Gap is slated to play a slew of prestigious festivals in the coming months, including the film's international premiere at CPH: DOX in the fest's Next:Wave competition on March 16, Chicago premiere at DOC 10 on April 8, and Rockford premiere on August 25. Minding the Gap will also screen at the 2018 Full Frame Documentary Film Festival, running April 5-April 8. In 2017, director/producer/editor Bing Liu was a recipient of the fest's Garrett Scott Documentary Development Grant. Eric Hynes recently wrote about the film in Film Comment Magazine, deeming it: "Heartbreakingly honest... 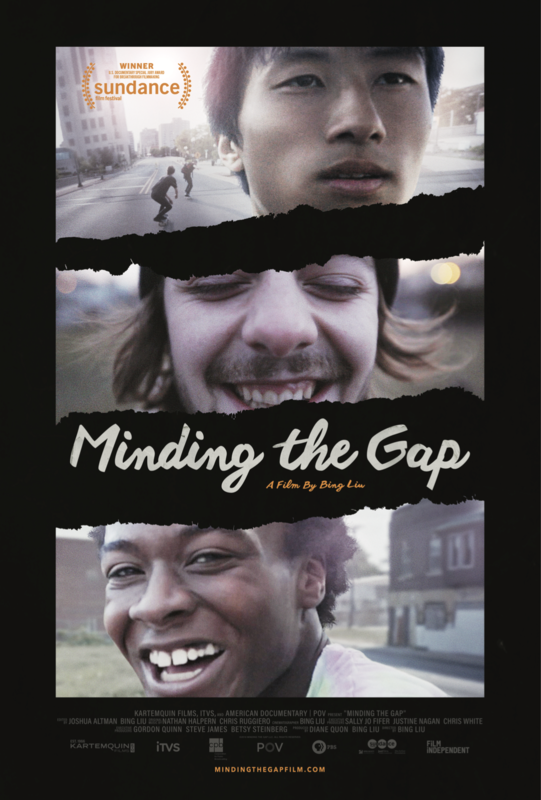 The footage that makes up Minding the Gap remains raw and true to the end." Stay up to date with upcoming screenings of the film here.